At first glance, the “Small Vessel Registry” may sound odd. It almost seems like something out of a kid’s movie. Like, the Registry for Small Vessels where all of the tiny boats go. In reality, this registry is for certain vessels in Canada. Not all vessels have to get this kind of registration, in fact, many vessels can’t. When you have a boat in Canada, it’s important to have the right kind of registration for it. Just as you don’t want to get caught without registration when you need it, you also don’t want to waste time trying to get a registration you don’t need. 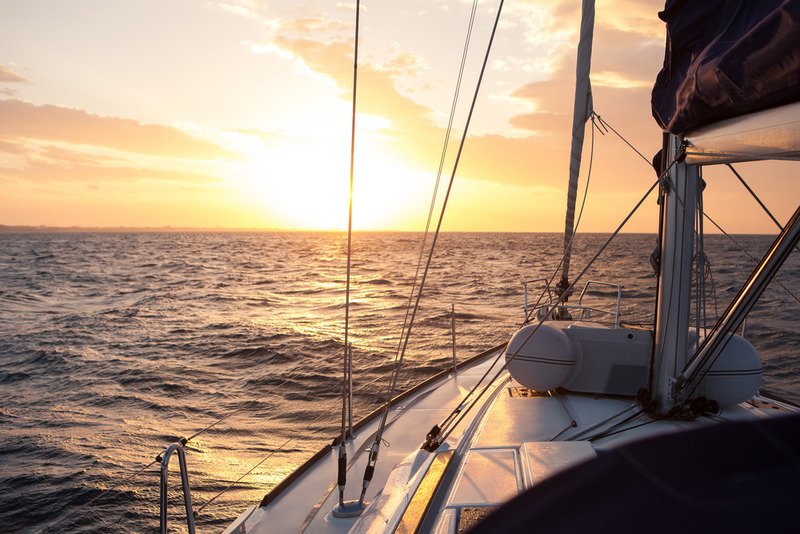 In this blog, we’ll go over who should be on this registry and who shouldn’t, so that you can make the right decision for you and your vessel. The vessels that have to be on this registry are small, non-pleasure vessels with an engine that’s 10 horsepower or more. The law makes a special reference to include commercial river rafts as well, so it’s not just vessels on a lake, ocean, bay or anything like that. As you might imagine, the word “small” means different things to different people. How can you tell if your commercial vessel is “small?” in the eyes of the law for this particular registration, that number is 15 gross tonnes. For many, an “eyeball test” of gross tonnes of a vessel is: if it’s more than 10.5m in length, it’s probably more than 15 tonnes. If you have any doubt, of course, you want to get your vessel measured just to be sure. At first glance, that phrase almost sounds a bit silly, like you’re getting on a boat specifically not to have any fun whatsoever. However, what it means is essentially “commercial” vessel. In our modern era, where people have “side gigs,” the line between “commercial” and “pleasure” can get a bit blurry. To make it clearer, think about if someone has to pay you to be on the vessel. If money is changing hands simply so people can get on the boat, then you’re engaging in commerce. That makes it a non-pleasure vessel. By that same token, think about if you’re giving the people on the boat some kind of service. Are you giving them a tour of an area? Are you taking them from one place to the next? Are you taking them out fishing, or swimming, that kind of thing? Sure, if you’re doing the latter with your family on a weekend trip, that’s one thing. But, if you’re doing it for people who paid you to do it, then you really aren’t operating a pleasure vessel anymore. If your vessel has a crew, they could also help you to discern whether your vessel is being used for pleasure or not. Your crew has a job on the vessel, even if it’s a pleasure craft. For example, if you have a sailboat, then the crew has to trim the sails, that kind of thing. However, if people are on your vessel for a job that isn’t technically part of the crew, then you have a vessel that can be called “non-pleasure craft.” Of course, should your vessel be owned by the government, then it certainly isn’t for pleasure. You don’t have to put your pleasure craft on the registry for small vessels. If you’d like, you can register your vessel with the government. However, you would use the “First Time Registration” which you can also find at our site. There, you can get title for your vessel as well as a way to show legal ownership. That name will be unique, and the one true name for your vessel in Canada. Once you have that registration, you can use it as security for a loan. Of course, you can also fly the Canadian flag with that registration. At our site, you’ll find all of the different forms for registration for your small vessel that you might need. In fact, we gave them their own separate section on our site. It isn’t hard to find. It’s right smack dab in the middle of the top of our page. There, you’ll find the first time registration, transfer of ownership and renewal. Of course, you’ll also be able to access the forms for the registration, transfer and renewal of government owned vessels as well. Each of these forms (and really, all of the forms we have on our site) can be easily filled out with just a bit of typing. From there, they’ll be sent in safe, secure and electronic fashion to the proper authorities. You don’t have to worry about mailing, typos, or anything like that. For more info, check out our site or call us at (800) 419-9569.